District 2 School News: Happy Holidays and Congratulations to our deserving students at Charles R. Drew K-8 Center, Federick Douglass Elementary, Jesse J. McCrary, Jr. Elementary, and Liberty City Elementary School. 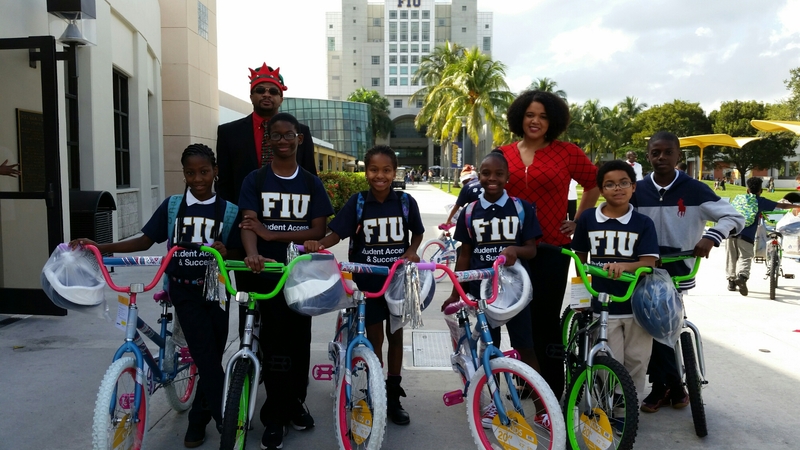 Our students attended the FIU Children’s Holiday Celebration on December 8th and received toys, bikes, and even laptops courtesy of generous sponsors. Thank you FIU, Santa, and sponsors for giving our children a wonderful Christmas.